In the search for rustic local food while staying in Chianti, Tuscany, we came across this popular Osteria, rated one prawn on the Gambero Rosso guide. 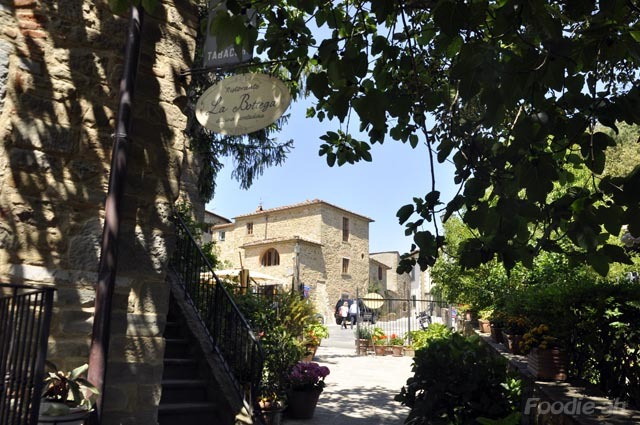 Located in Radda in Chianti, one of the tiny villages of the area, right at the end of a very curvy and narrow road, is this jewel of an Osteria with a large terrace dominating the Chianti valley. The Barucci family, owners of the Osteria, continue the tradition by serving classic Tuscan dishes, making use of their own garden grown vegetables. There is plenty to chose from on the menu, but the portions are very filling, so be cautious not to over order! We had 5 dishes for 2 people washed with plenty of Chianti wine, and for a total of 47 EUR it was a bargain. 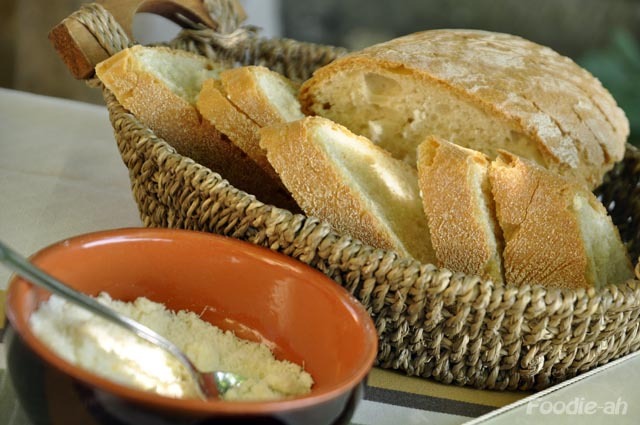 The classic unsalted Tuscan bread is served with Parmigiano Reggiano and olive oil. Generous spoonfuls of the cheese help adding flavour to the naturally insipid bread. The radicchio e pecorino con aceto balsamico was a very large portion, too large for one or even two people, so unfortunately I had to leave some on the side. 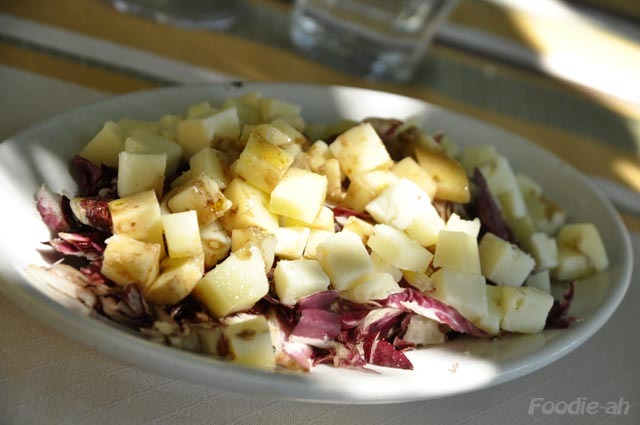 This is just what it says on the label: radicchio, chunks of medium aged pecorino, and a balsamic dressing. Grilled vegetables are a classic antipasto throughout Italy. 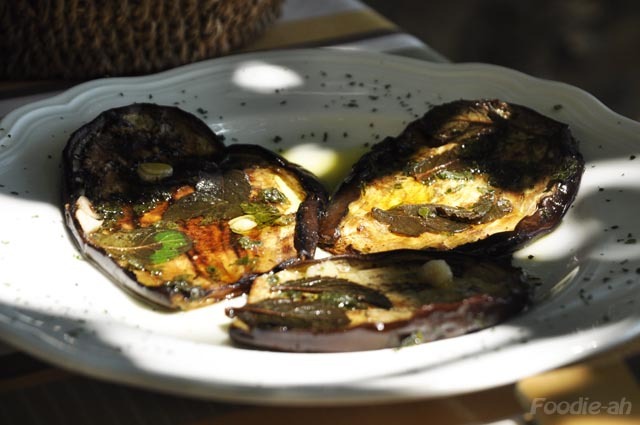 Here, they serve Melanzane grigliate al profumo di menta, which is grilled aubergines with mint. The large slices were nicely covered in dried herbs and spices, and paired nicely with the bread. I couldn't resist from ordering Pici once again. 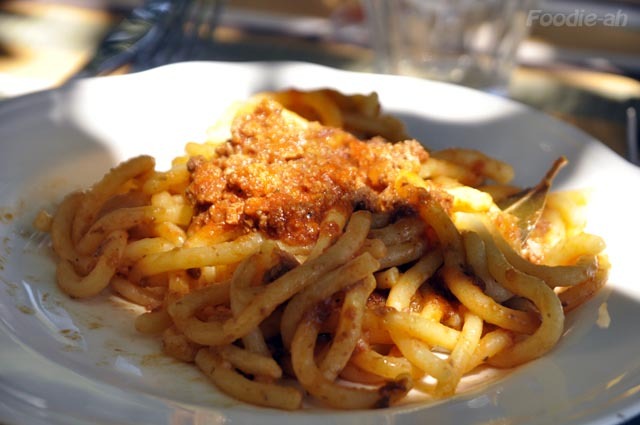 It is a type of pasta that is not commonly found outside of Tuscany, so every opportunity should be exploited. This was a truly rustic version, when compared to the ones I had at Walter redaelli, and I felt really quite full by the end of it. The main dishes were the forte of this place, and the reason why, I believe, it deserves a prawn on the guide. The Coniglio al tartufo was absolutely amazing. 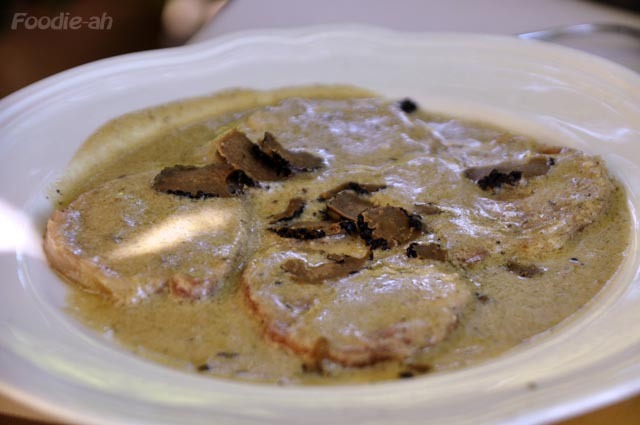 Slices of rabbit topped by a creamy truffle sauce, with slices of black truffle right on top. At 9.50 EUR, you can't really argue! Finally, the Cinghiale in umido con olive still remains one of the significant culinary memories I brought back from Tuscany. 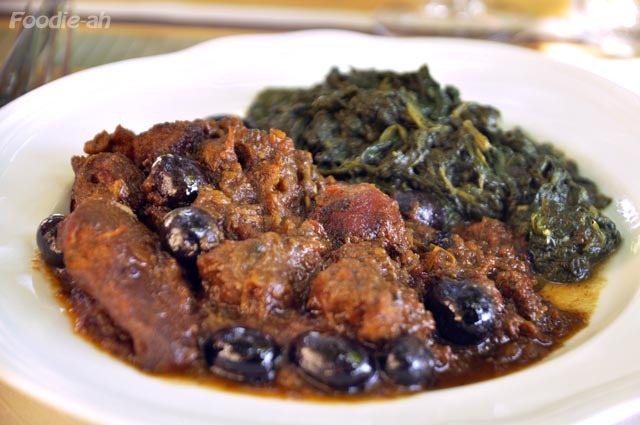 This stewed wild boar with black olives had such an intense meat flavour, you would never get from pork. This must be the first time I really appreciated wild boar meat. This is what Tuscany is about.